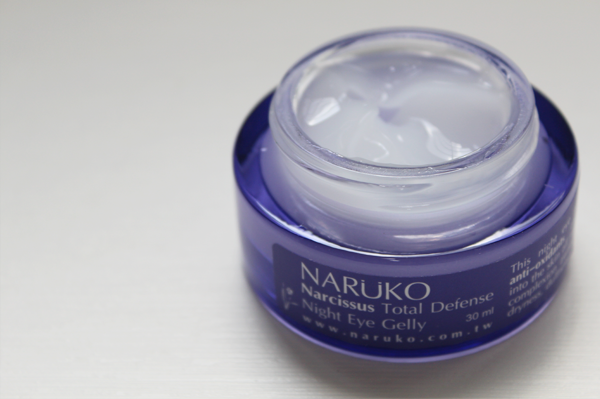 The Narcissus Total Defense Night Eye Gelly is jam-packed with antioxidants and moisture. It promises to revitalize, firm and moisturize your eye areas, smooth out fine lines, prevent wrinkles and improve dark circles, with its content of Snow Fungus Extract, Tamarind Fruit Extract, Hyaluronic Acid, Vitamin B5, Solomon Oil, Phytoferulin Complex and Narcissus Bulb Extract. Just like the gelly for the face, this is an overnight sleeping mask. 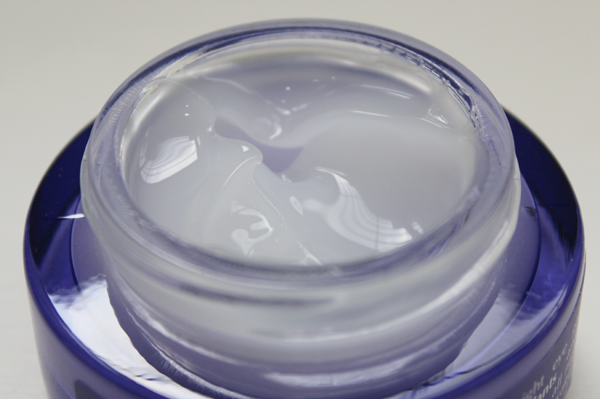 It is meant to be applied after your eye cream, so that it seals in the benefits of your eye cream and add more to it. Housed in a 30ml purple tub, the Narcissus Total Defense Night Eye Gelly comes with a small spatula so that there is no dipping of fingers in the product. Yay for hygiene! Do remember to wash the spatula before and after use! 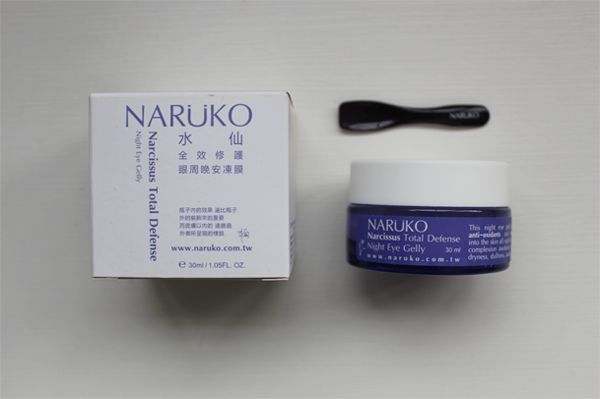 The night eye gelly smells like my other Naruko products; a light, refreshing, slightly minty, Chinese-herbs scent. 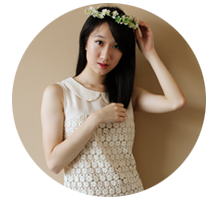 When applied on the skin, it has a cooling and refreshing effect. I use about slightly more than half a scoop on my eyes at night and slightly less than half a scoop in the day. When I first started using the gelly, I found that it took a longer time to sink into the skin as compared with the face gelly and it didn't really make sense. Then, I realized that I was using way too much! The scoop hasn't been calibrated according to usage, so just a flat, half a scoop is more than enough! (: I dot it around my eyes and then, using my ring finger, swipe and dab the gelly around my eyes until it is absorbed.